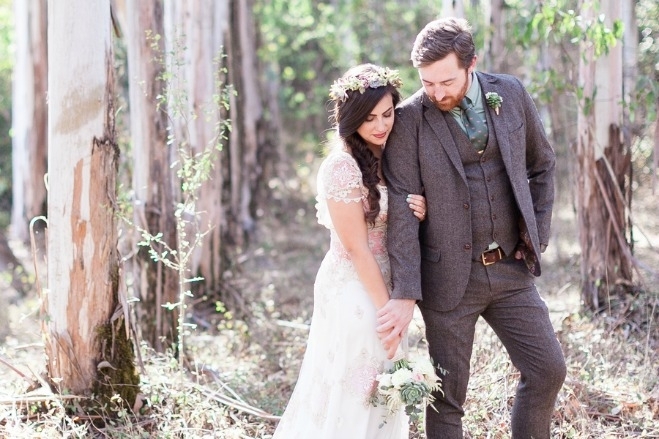 These well-dressed men prove the groom's big day ensemble should be anything but standard. It's likely guests will chatter in anticipation of seeing the bride's gown, but in all the excitement we can't forget the groom. 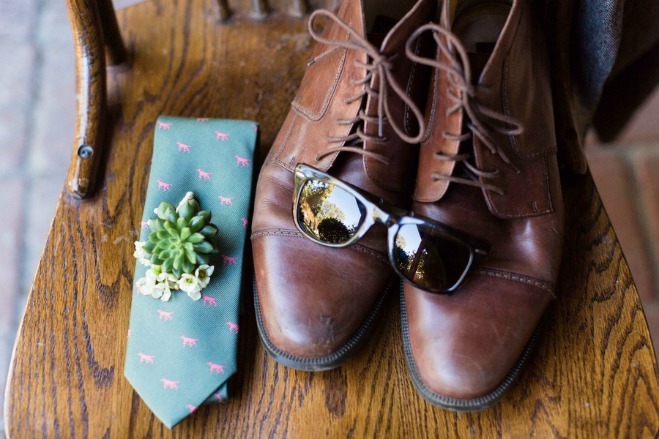 While we expect the bride's look to be fabulous, grooms shouldn't settle for paling in comparison. After all, it's just as much their big day as it is the bride's. 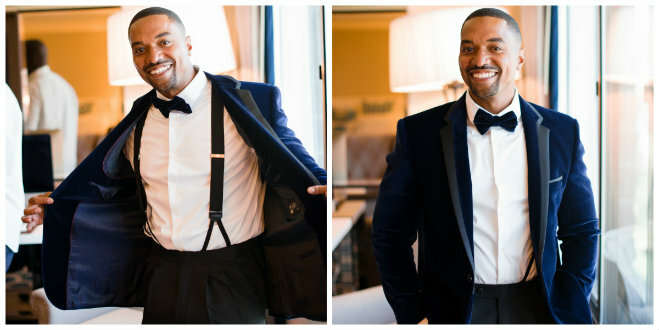 Men have just as many, if not more, options than the bride when it comes to their wedding day attire. There's suits, tuxedos, waistcoats, separates, pocket squares, ties, suspenders, belts, shoes and socks to consider (yes, socks! 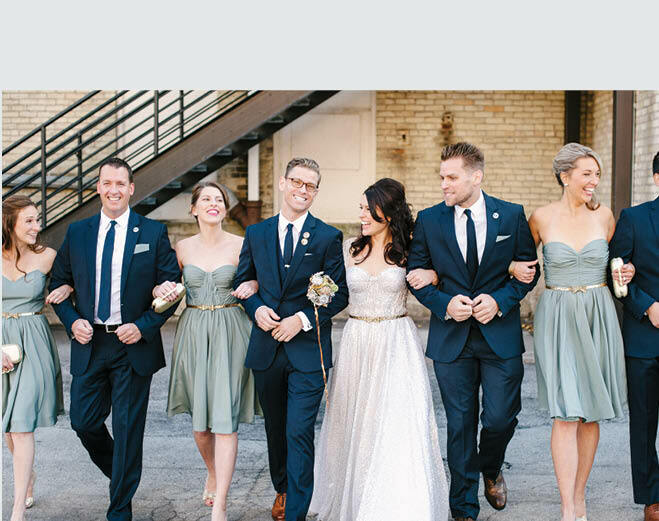 ), which can all uniquely reflect the look and feel of the day and the groom's personality. Simply put, it's easier than you think to avoid looking like the cookie-cutter groom who slipped into whatever suit happened to be hanging in his closet. 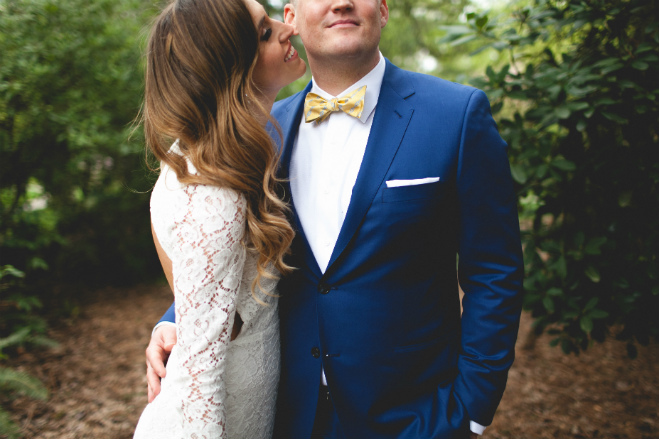 Take a cue from a few of our most stylish grooms, rounded up from real weddings across our sister sites. If you're looking for that timeless appeal, consider the tuxedo. It's classic and chic. 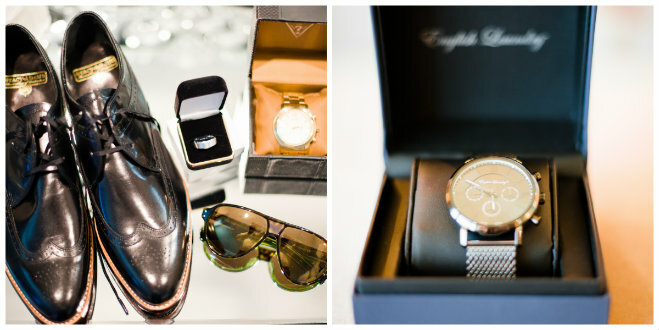 When paired with the right details it's versatile and lends itself well to a Gatsby-esque evening with a modern edge. Finding yourself bored with traditional fabrics? Aim for a vintage look with a structured herringbone suit. Playing with fabric can make your look a standout success. It's all about the details. For added flair, choose a bold, trendy piece that shows off who you are. Add one or two accessories like a flashy watch and stylish shades for a unique and modern look. 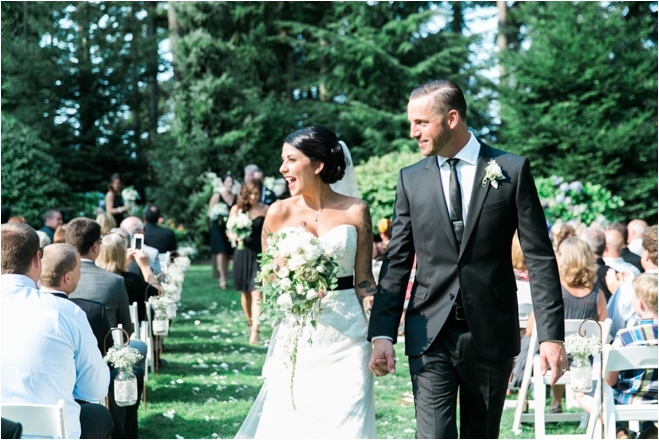 If your big day vision feels more casual than black tie, a grey suit is a smart option, as you'll likely wear it again. 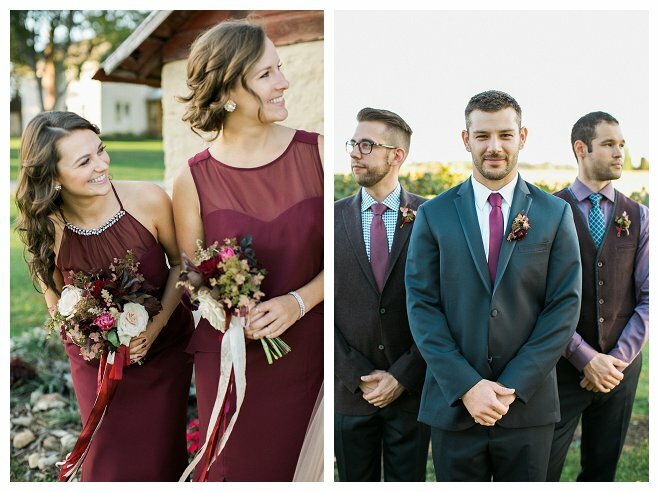 To standout from the groomsmen, add a matching waistcoat. If grey doesn't catch your eye, navy has long been a go-to trend. Pair with polished brown shoes to hint at the days when men never left the house without a hat and mustache. Black suits will never go out of style. 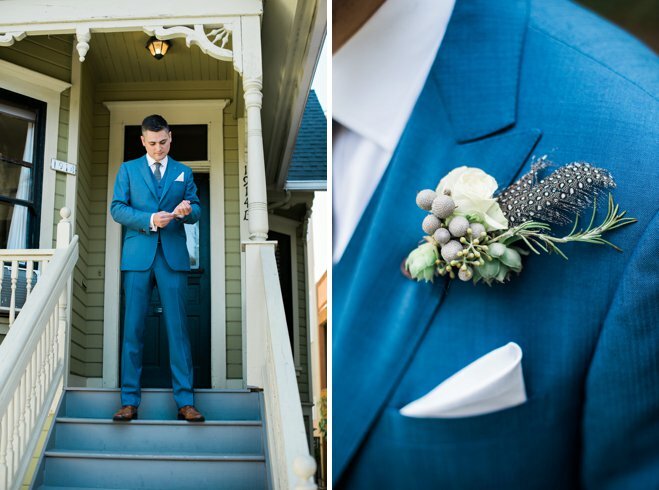 Look neat and polished in a black suit with a fresh boutonniere for a dash of color. While we love the traditional look of darker hues, lighter options can be just as striking. 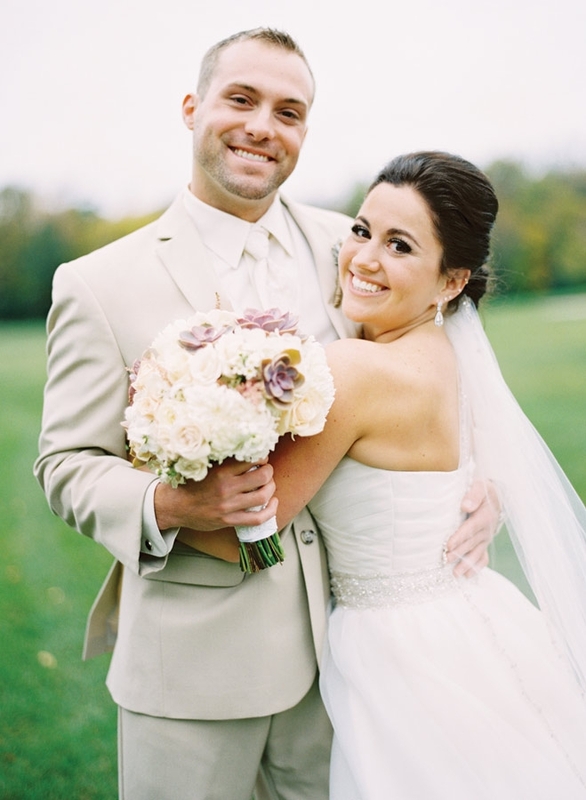 Stand out from the wedding party with your bride by considering a soft palette. As long as the cut is classic, you can't go wrong with a lighter shade. Who says men's formalwear can't be colorful? Don't be afraid to mix and match colors and patterns using vests, shirts, and ties. Layer for an intentionally unique look. Keep things simplistic and elegant by sticking to one color for your suit, tie and vest.